"Prepare your fragile human mind for PANORAMICAL, an interactive sensory journey unlike anything you've ever played before. Manipulate the look, sound, and feel of more than a dozen mesmerizing landscapes in this immersive musical adventure through space and time. Turn peaceful mountains into thumping valleys into jazz solo forests into ominous caves, turn day into night, turn oceans into deserts into atmosphere and the soundscape transforms with you. Each of the 15 unique worlds consists of 18 different audio-visual dimensions under your control. 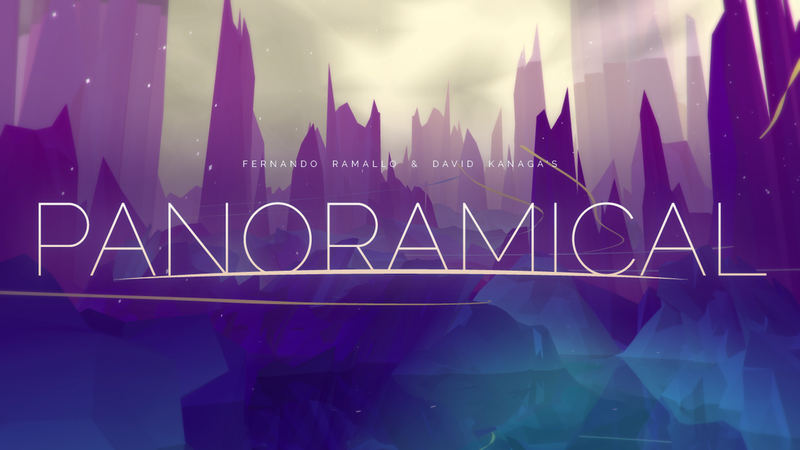 Explore the shifting and ethereal universe of PANORAMICAL at your own pace. It's easy to learn and easy to play, with straightforward controls compatible with keyboard + mouse, gamepad, and even MIDI controllers. Play PANORAMICAL however you want: summon dreamlike landscapes with the push of a button, chase that perfect beat, or just find a place where you can relax. Let it all go, or climb into a rainbow dome at the top of the world and ride a serpentine turquoise mountain into a beautiful magenta oblivion. It's up to you." Panoramical is a pretty unique and enjoyable, relaxing experience and the creators are giving it away for free this weekend (as in, "download it once, keep it forever" kind of free) in the hopes that it may help in some way for those experiencing a lot of anxiety/dread/etc from the current political climate. I've played the game before and it really was an enjoyable time, and it's free only for this weekend, so give it a try, see if you like it. I'll try it out and get back to you on this one. You arrive home after a year abroad. You expect your family to greet you, but the house is empty. Something's not right. Where is everyone? And what's happened here? Unravel the mystery for yourself in Gone Home, a story exploration game from The Fullbright Company. Gone Home is an interactive exploration simulator. Interrogate every detail of a seemingly normal house to discover the story of the people who live there. Open any drawer and door. Pick up objects and examine them to discover clues. Uncover the events of one family's lives by investigating what they've left behind. It's a great game and I really recommend giving it a try. Gone Home was a pretty good example of a game that isn't a horror, yet still unnerved me as if it was a horror. Walking through an empty house like that? Alone? Hells no. In the end though, I really liked the story. Beautiful even. I remember the game getting a lot of flack though from some people citing that "It isn't a game". Honestly though, story-driven is a thing, like it or not? I'd love to play more games similar to it (I know there are quite a few, but many of them are actually prettttty bad). I still felt like a spooky ghost was going to jump out at me at any second or there was going to be a plot twist.